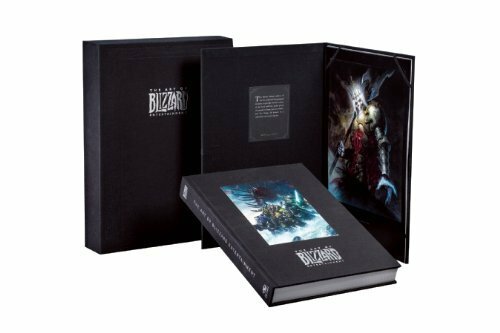 The The Art of Blizzard Entertainment Collector’s Edition by Insight Editions is available on sale at online and local bookstores for $199.09. A great collection for those who love to collect this type of Blizzard licensed merchandise, and for art students. Follow the link above to read the customer reviews and a video from a fan. Blizzard Entertainment changed gaming forever. From its humble beginnings as a three-person console-game development studio in 1991 to the creation of the blockbuster Warcraft®, StarCraft®, and Diablo® series, Blizzard has crafted stunning worlds of science fiction and fantasy for more than two decades. An epic volume of visuals and behind-the-scenes insights, The Art of Blizzard Entertainment celebrates the genesis. This collection showcases nearly 700 pieces of concept art, paintings, and sketches accompanied by commentary from the Blizzard game development teams, including Nick Carpenter, Samwise Didier, and Chris Metzen. All three were essential in shaping Blizzard’s game universes over the years, and along with a team of international artists, revolutionized gameplay and storytelling. Artists such as Roman Kenny, Peter Lee, Bill Petras, Glenn Rane, and Wei Wang helped develop and expand Blizzard’s unique vision, and their contributions are featured here along with work by Brom, who offers a foreword to the collection. Millions of people around the globe play Blizzard games every day—The Art of Blizzard Entertainment is an opportunity to explore the core of what makes the experience so transporting. This deluxe edition is bound in saifu cloth and accompanied by a portfolio of collector art prints, all housed in a finely crafted double-slot slipcase with foil stamping. Each deluxe edition also includes a card of authenticity hand-signed by Brom, Samwise Didier, and Wei Wang.